Here’s a list of our favorite Qi wireless chargers that are available right now. All of these options work flawlessly with all Qi-compatbile devices including the iPhone. 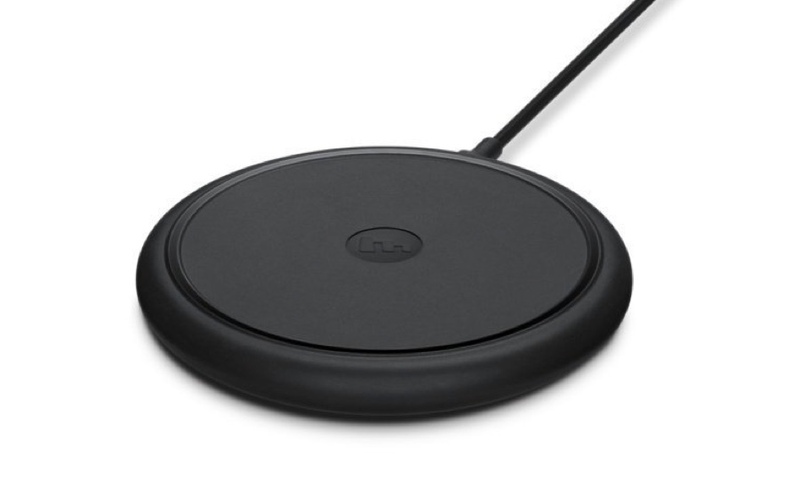 There are Plenty of Qi Wireless Chargers Available – Which One Should You Buy? Ever since Apple embraced the Qi wireless standard for the iPhone, the market has exploded with a ton of wireless charging options. In fact, there are so many at this point in time that a regular consumer might bang his head against the wall in utter confusion regarding what to buy. Lucky for you, we’ve been doing some legwork of our own and have narrowed down all the best available options to a handy dandy list. All of these chargers are absolutely safe to use, are fully certified by the Qi Wireless Consortium and offer decent charging speeds out of the box. Note: We will not include chargers in this list that are not certified by the Qi Wireless Consortium. 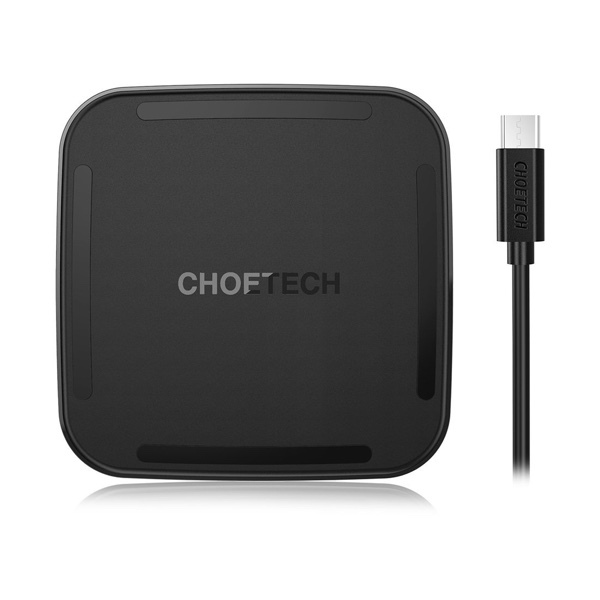 For the chargers that do not ship with the adapter in the box, we highly recommend buying a Quick Charge 3.0 capable one. Any brand would do as long as it supports QC3.0 output. If you want to check whether or not you’re buying a Qi-certified product, you can always check out the database here. This is our favorite wireless charger, hands down. Why? Because it’s an extremely minimal option and simply works out of the box without any sort of bells and whistles. 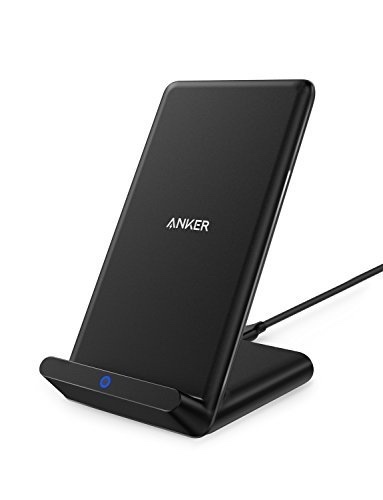 It features a solid design, comes with a power brick in the box that has an extremely lengthy cable, and best of all, it supports 7.5W of power for the entire iPhone lineup. It works with any other device as well, of course. Related Quick Hands-on Review of RAVPower’s New HyperAir Fast Wireless Chargers – Exclusive Discount Coupons Inside! Though this charger might not be able to churn out insane amounts of power for fast charging, but it gets the job done at a mere 5W output. That’s not all though, it features a slick stand design that keeps your device upright at all times, allowing for easy access to everything, whenever you need it. The only real downside of this charger is that it does not ship with a power brick inside the box. 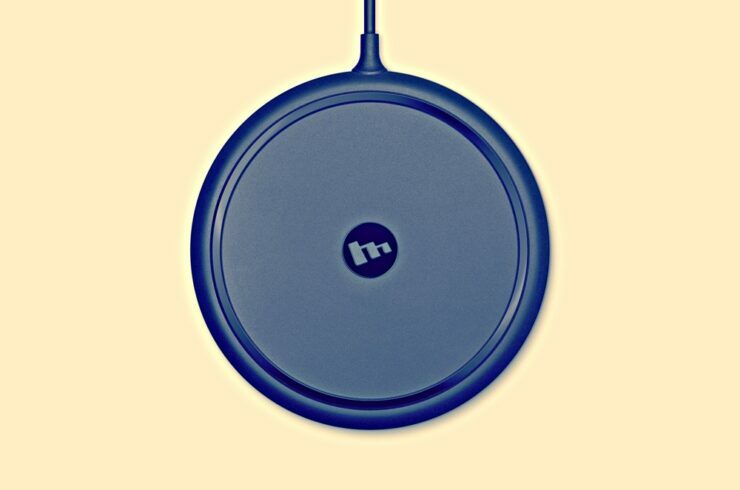 This particular Qi wireless charger from Belkin is actually quite old. But the highlighting feature here is that it supports fast charging on devices like the Galaxy S7, S8 and even the S9. It features a great design, and ships with a wall adapter inside the box. It’s on the pricier side of the spectrum, but only a little. 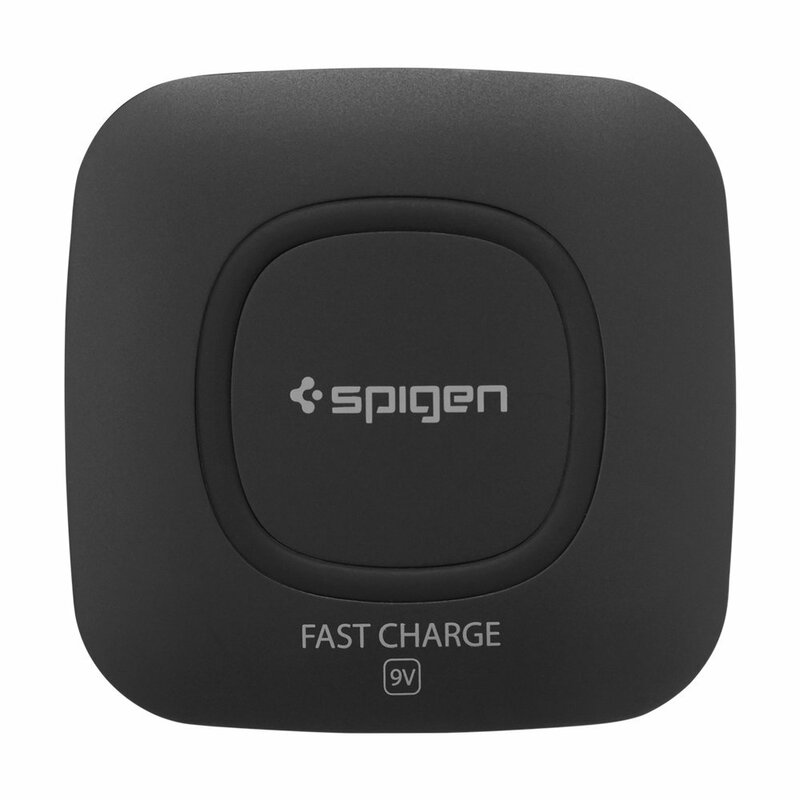 Simple, elegant, features a unique square-ish design and supports 9V of power for fast charging devices. Though it does not ship with a charger inside the box, so you have to supply it your own, but it has everything which a wireless charger should. This is one of the few charging pads that has a USB-C input. That’s not all though, it’s actually quite cheap. How cheap exactly? Try 19 bucks. But of course, in order to achieve that price point certain corners were cut, therefore you won’t find a wall adapter inside the box. Still, it conforms to the Qi wireless standard perfectly. 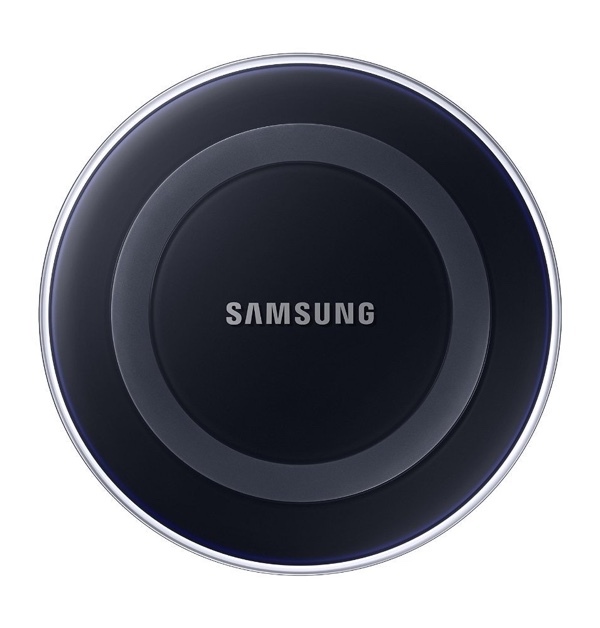 Say what you want about Samsung, but they make some of the best wireless chargers around. They work flawlessly with every Qi-enabled device and you can expect good speeds from them too. This one is a particularly popular option and ships with an AC power adapter in the box.